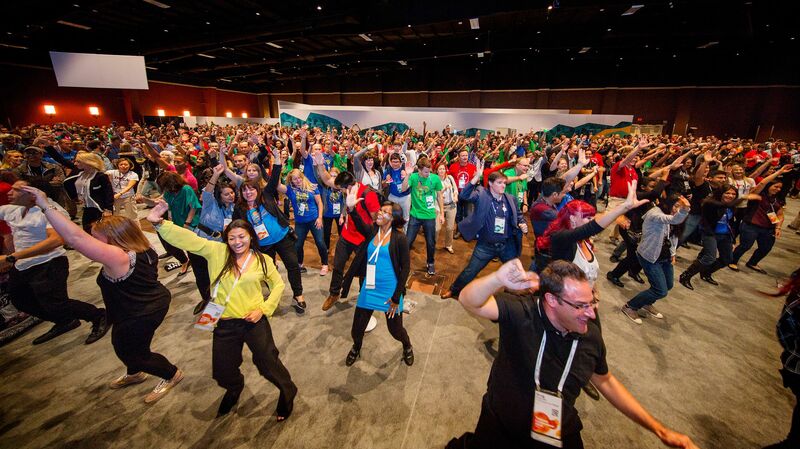 Some 11,000 data enthusiasts gathered at the MGM Grand in Las Vegas for the Tableau Conference this week. There are so many things to remember and treasure from the past four days of fun and geekery. Here are just 10 of them, in 10 photos. 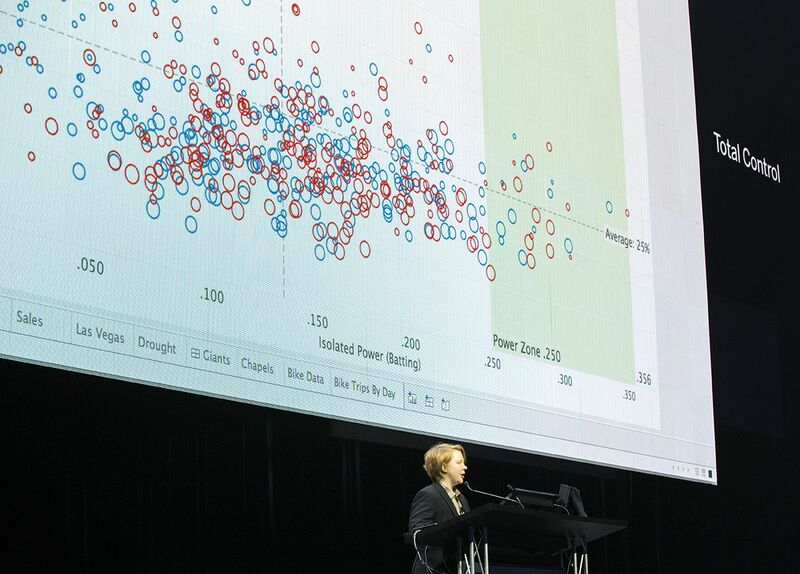 Tableau devs took to the stage to demo new Tableau 9.2 features like enhanced mapping with Mapbox integration, improvements to the Data Interpreter, and advanced analytics features like outlier detection and clustering. TC15 featured more than 300 sessions that ranged from thought-provoking keynotes to community meetups, to hands-on training. We also had Tableau Doctors on hand to provide one-on-one help. These sessions were designed to help data explorers learn, connect, and build a relationship with data. How would YOU change the world with data? 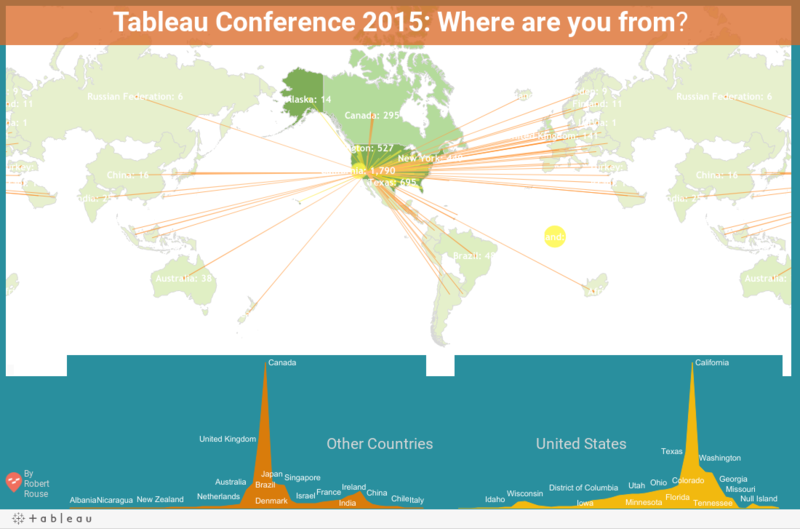 This question from the Tableau Foundation had us all thinking—and snapping photos. Surprise! Here’s how we greeted our guests at the welcome reception. 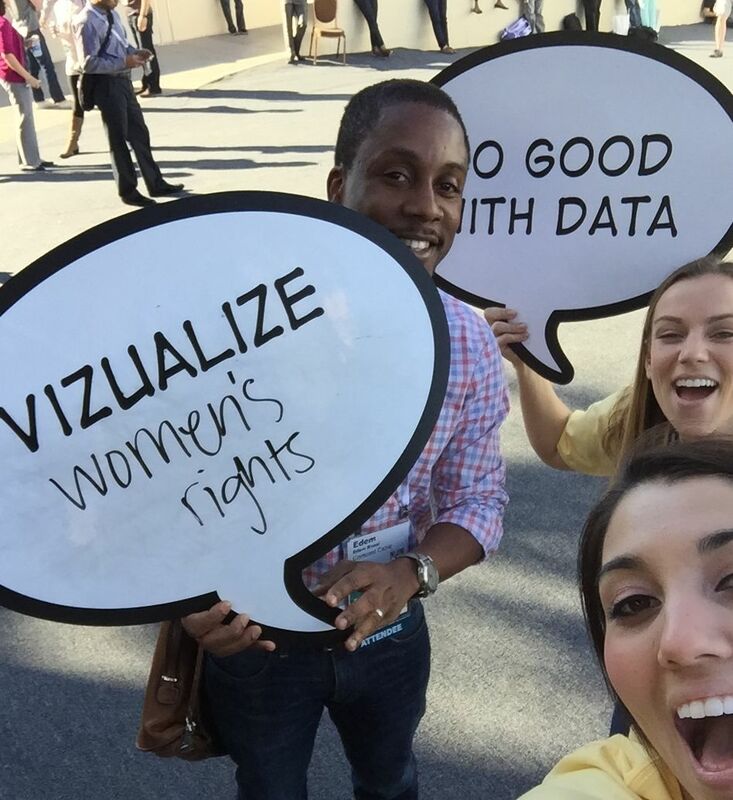 We had a packed house at our Data + Women panel, and the #datapluswomen hashtag made the rounds as data explorers continued the conversation throughout #data15. We shut down Fremont Street for a Vegas-sized Tableau party. We had four (four!) live bands: Phox, RobertDeLong, Band of Horses, and Fitz and the Tantrums. And the Elviz squad made an appearance at Data Night Out, and showed off their groovy dance moves. Of course, the analytics conference of the year wouldn’t be complete without a playground for data exploration. 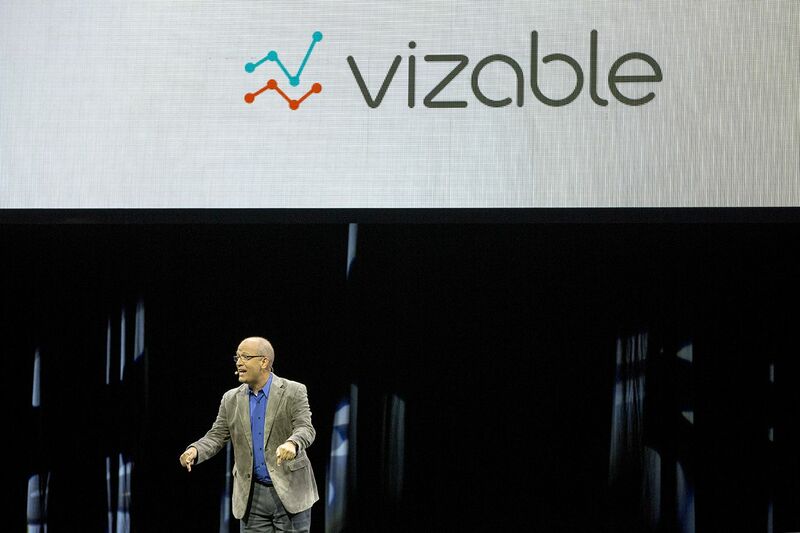 And that’s why we introduced the Tableau Data Experience this year. This was a playground full of visualizations about conference data. The vizzes showed how our 300+ sessions broke down by tracks, which hashtag got the most traction, and where data explorers had traveled from to attend TC. We had a happy-hour keynote with Dr. Neil deGrasse Tyson, complete with drinks! 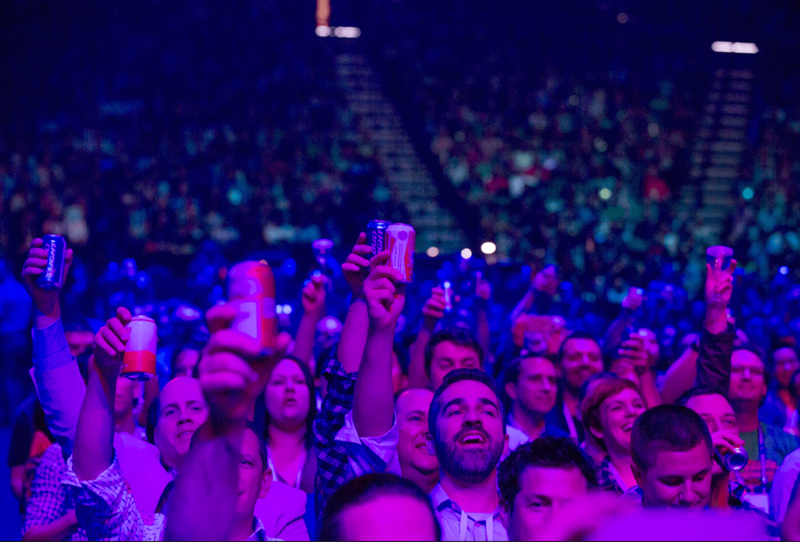 And before he took the stage, we lit up the arena with 10,000 cell phones—our version of the night sky. This was the best part of TC 15, no question. Those who joined us weren't mere attendees, but members of our growing community. We, all of us, were engaged, and the camaraderie was palpable. More than 10,000 people exchanging ideas, learning from each other, and celebrating their shared love of data—it was simply magical. Thank you for an extraordinary week! We'll see you in Austin for TC16.